Engagement both within our congregation and in the surrounding communities. Exploration of vocation under the mentorship of ministry leadership. Experience in specific areas of interest. All interns will meet regularly for team building activities and spiritual development. Continuing for its second year, each college intern will get to participate in a professional development experience with their ministry supervisor(s). College interns will be paid at a rate of $12/hour. High School interns will be paid at a rate of $10/hour plus they’ll receive up to $650 credit toward one “away experience” at either Pine Lake Camp, Sugar Creek Bible Camp, or the South Dakota Pilgrimage. 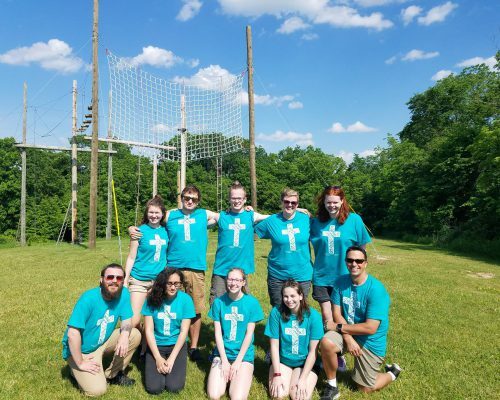 The high school interns will work with the Director of Children’s Ministry and the Director of Youth Ministry in the planning and implementation of Good Shepherd’s Summer Day Camp Programs and middle school youth events. High School interns will take turns in leadership of each camp. The focus is placed on serving, leading, teaching and building relationships with the children and families who attend camps and summer events. This is a 12-20 hour/week position for 8 weeks (June-August). Applicants should currently be a sophomore, junior or senior in the 2018-19 school year. The college intern will work 40 hours/week for 10 weeks under the focus of Communications and Technology. Their tasks will center around website development, video recording and editing, and electronic communications. This position has been filled for the 2019 season. Check back next year. All applicants must have reliable transportation to Good Shepherd’s Madison and Verona campuses. Position descriptions are below. Note that applicants are welcome to submit their resume with their application but are not required to do so.